The 5th IWG World Conference on Women in Sport in Sydney has now drawn to a close. The 6th World Conference will be held in Helsinki, Finland in 2014. It was edifying and energizing to meet so many great women, and men, who care deeply about girls and women in sport and to learn about how they are all making a difference in their own ways. One person really can make a difference. The legacy of the conference is the Sydney Scoreboard, which will track the percentage of women in positions of power in sport leadership across the globe (national sport organizations, presidents, CEOs). One message was clear throughout the conference, women are under represented in all position of power in all sports in all countries–we have much work yet to do. This conference helped me to think more deeply and clearly about how the empowerment of women and striving for women in positions of power is a human rights issue. When women help lead a nation or organization, everyone benefits. The International Working Group on Women in Sport (IWG) has begun to build a relationship with the United Nations (UN), to help forward the IWG mission and agenda. The United Nations has a number of groups, resources, and initiatives that have great synergy with the IWG including, The UN Division for the Advancement of Women (DAW), United Nations Development Fund for Women (UNIFEM), United Nations International Research and Training Institute for the Advancement of Women (INSTRAW), and WomenWatch (information and resources about gender equality and the empowerment of women). The UN also has a Commission on the Status of Women which is a functional commission of the United Nations Economic and Social Council (ECOSOC). Rachel Mayanja (Uganda), UN Assistant Secretary-General and Special Adviser on Gender Issues and Advancement of Women (OSAGI), delivered the opening keynote of the IWG Congress. 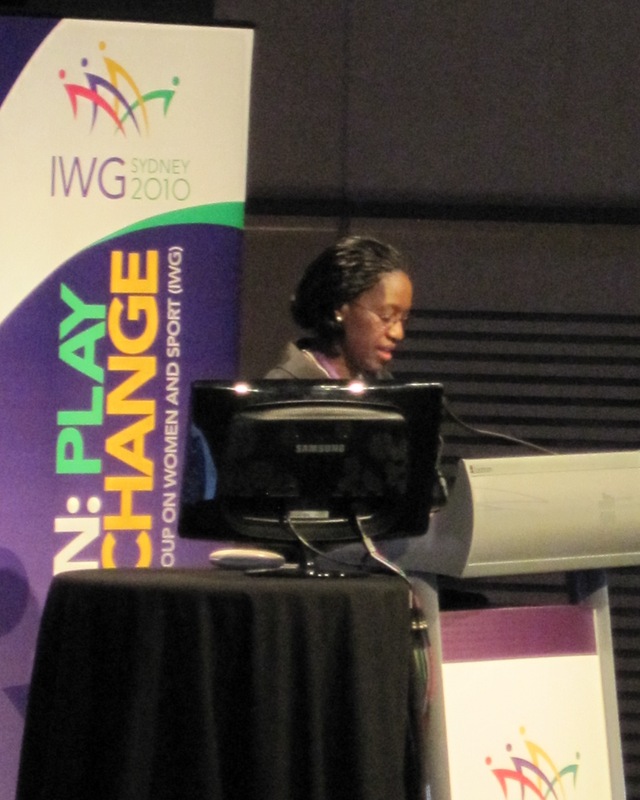 In her speech she stated: Women’s and girls’ access to and participation in sport is not a privilege. It is a right. The right to participate in sport and physical activity is enshrined in Article 1 of the UNESCO International Charter of Physical Education and Sport, for example, which states that ‘The practice of physical education and sport is a fundamental right for all’. 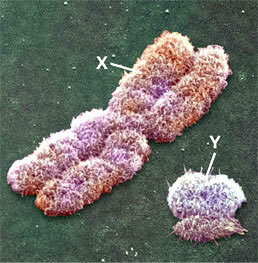 From this picture, it is clear that MORE can potentially be found on the X-chromosome! The conference ended with a keynote by The Hon Michael Kirby, former Justice of the High Court of Australia, which was fantastic. He told of how as a boy in 1949 he’d read a the Universal Declaration of Human Rights which shaped his life trajectory. He told us that document existed due to the leadership of Eleanor Roosevelt who chaired the committee which drafted the original document that was later adopted by the UN. He stated this is an example that if you want important work to be done, a woman has to be in charge. Kirby also said his colleague Mary Gordon used to tell him, “that not all is found on the Y-chromosome”. This is a great statement, and until everyone believes and acts in ways that reflect this statement we have work to be done. I am re-energized and committed to continue my work on increasing the number of female coaches in youth sport so that children and youth see women in a position of power in a context they care deeply about. I believe if we are to change attitudes about gender stereotypes and women and leadership we need to have equal numbers (50%) of women as head coaches. To that end and taking up the idea of the Sydney Scoreboard, upon my return I will begin to work with youth sport boards and youth sport organizations to implement policy that requires/mandates that 50% of all coaches are female (currently according to data I have collected in youth soccer, only about 17% of all head coaches are female), and that at least 40% of all board positions are occupied by females.